We use many translator apps for translate other language in our regional language and vice versa. Google launched the traslate facility to its engine online. Then, lauched an android app for mobile users. You can use Google Translate app for studies too. Google Translate is a free multilingual machine translation service developed by Google, to translate text from one language into another. It offers a website interface, mobile apps for Android and iOS, and an API that helps developers build browser extensions and software applications. Google Translate supports over 100 languages at various levels and as of May 2017, serves over 500 million people daily. You can translate in over 100 languages using mobile. You can translate English to Gujarati / Hindi and vice versa using this app. Use this app offline. No need of internet. Don't need to type anything. You can use voice search feature here. You can scan English and translate it instantly. 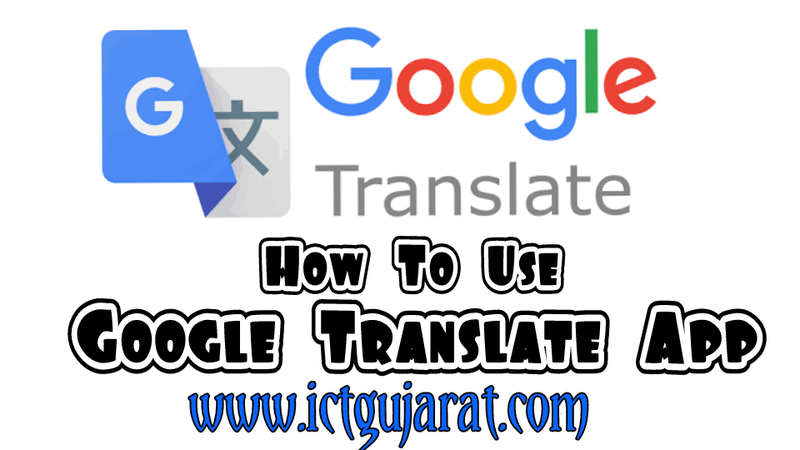 - I made a Gujarati PDF file about Google Translate for students. 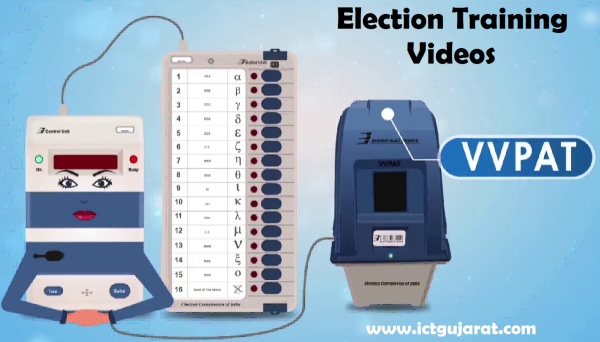 So, you can download from here and learn easily in Gujarati. 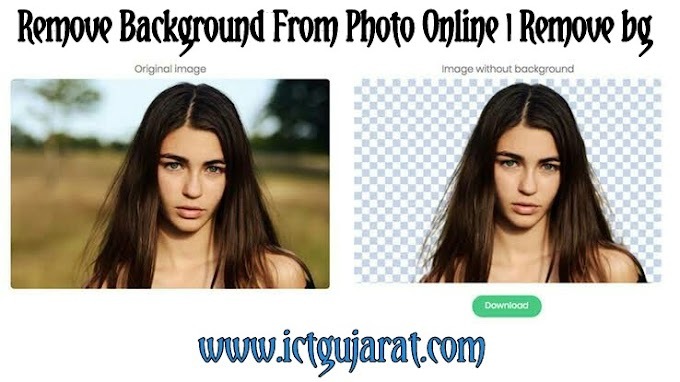 To download that file, CLICK HERE. File size is just 190 KB. 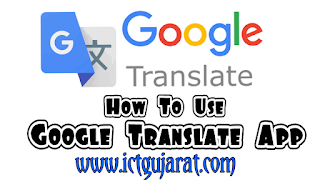 You can download Google Translate app from Google Play Store by searching it or click below link for download. Here is the step by step information about to use this app. Please read from below. First download & install app from above link. Then open the app. It will ask you about to choose 2 languages. Select your regional language (Gujarati) as your first language. Then select English as your second language. You need to download some files for offline use. The file size is around 31 MB. 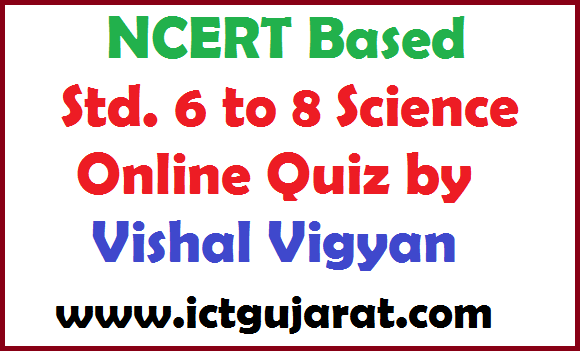 Select Gujarati and click on Download Now button. Now you can use it offline. Type any word or sentance then it will be translated. You can use voice search online. So need internet for that. Select voice search icon and say any word. Then it will be translated and typed in the app. For example, if you say any word in Gujarati then that word will appear in Gujarati box and same as translate in English box. You can use scan funcation. Tap on camera button then scan English word and translate it using this app. The translated word is displayed at screen. So, you may like this app for translate anything using mobile. You can use this function in your computer too. Just go to the below website of Google Translate.